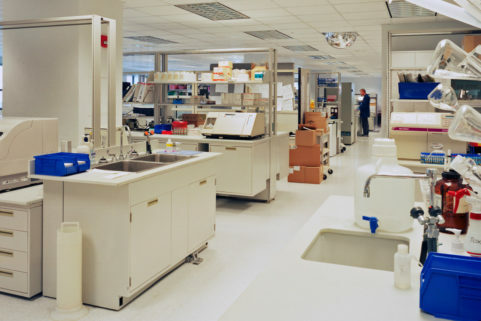 The fourth and fifth floors of Northern Light Eastern Maine Medical Center’s Webber West building house Dahl-Chase Pathology Associates and Dahl-Chase Diagnostic Services. 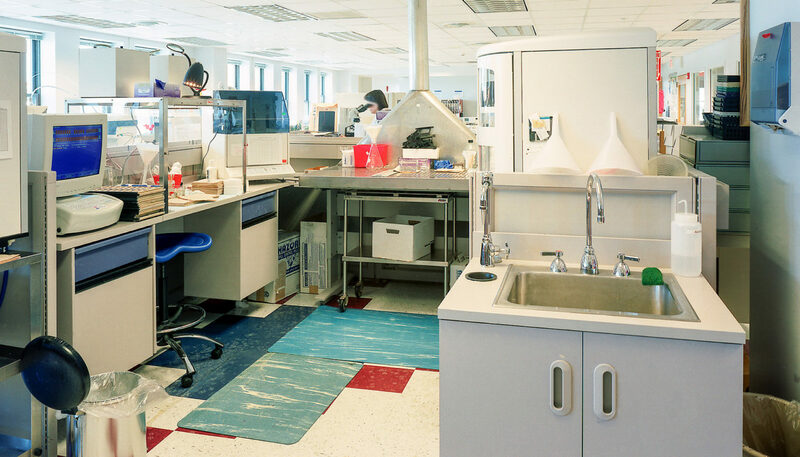 Dahl-Chase’s 19,125 SF office/lab is a consolidation of three previous spaces. 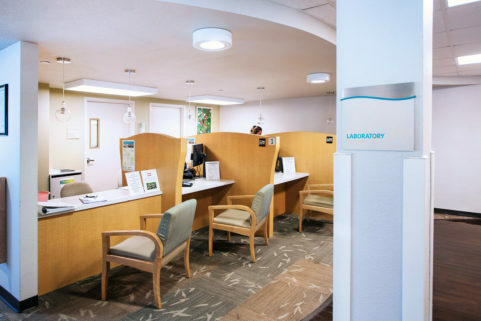 Dahl-Chase Pathology Associates and its subsidiary, Dahl-Chase Diagnostic Services, work together to provide services including clinical pathology, cytopathology, dermatopathology, flow cytometry, hematopathology, histology, and wildlife testing, among others. 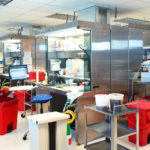 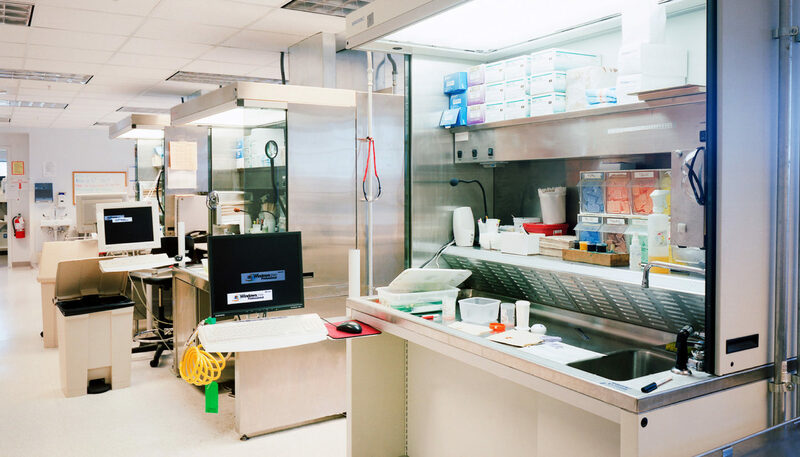 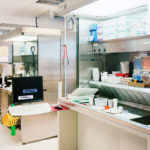 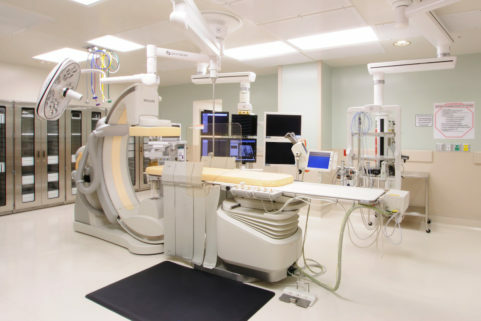 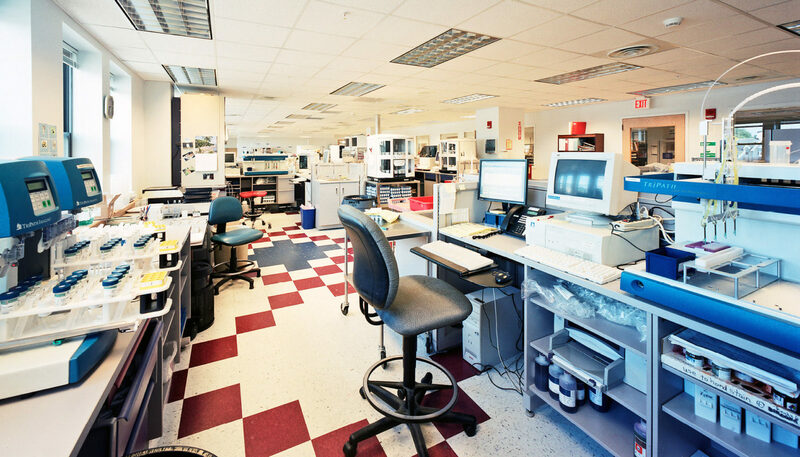 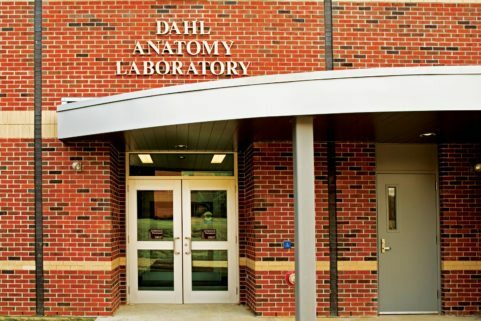 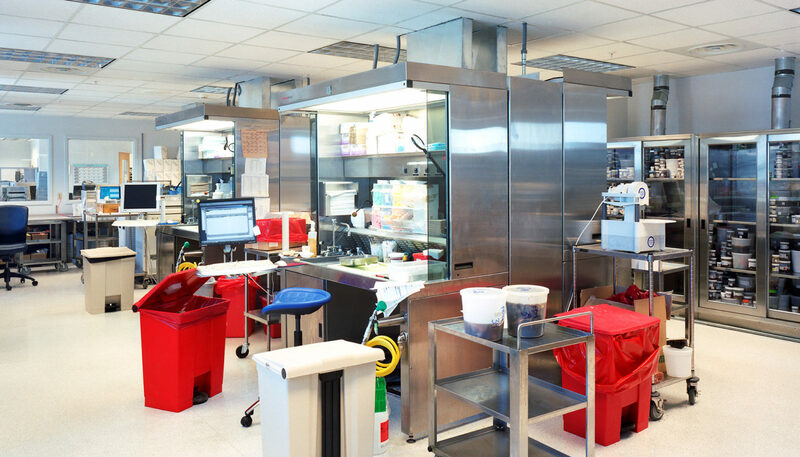 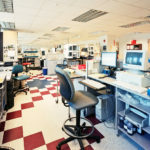 Dahl-Chase specializes in preparing and analyzing thin tissue slides, and the lab is connected to the hospital with a pneumonic tube system to transport samples for patients having surgery at the medical center. 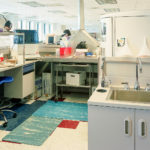 The fit-out, designed by WBRC, includes a bios room, gross lab, digital conferencing, specimen storage, corporate office suite and pathologist offices.